APS example: Lake Harvest Production System in Myanmar. Myanmar Pharmaceutical Industries produces 150 dry tons of spirulina in 60 days from February to April. Entry 2113. by Min Thein, Myanmar Pharmaceutical Factory. 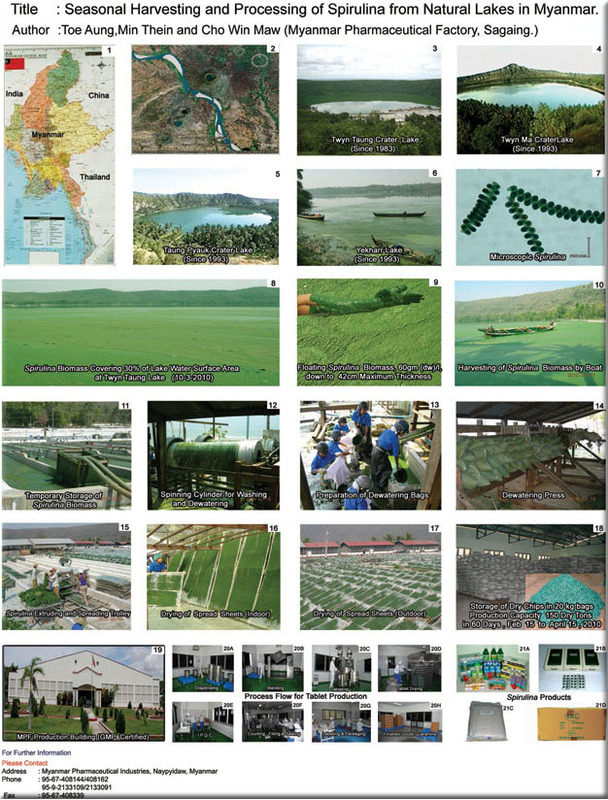 5:04 minute video of Algae Production System of Natural Spirulina Lakes in Myanmar. (2011).